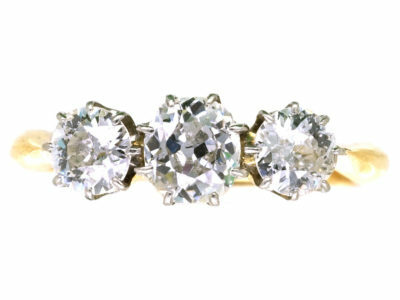 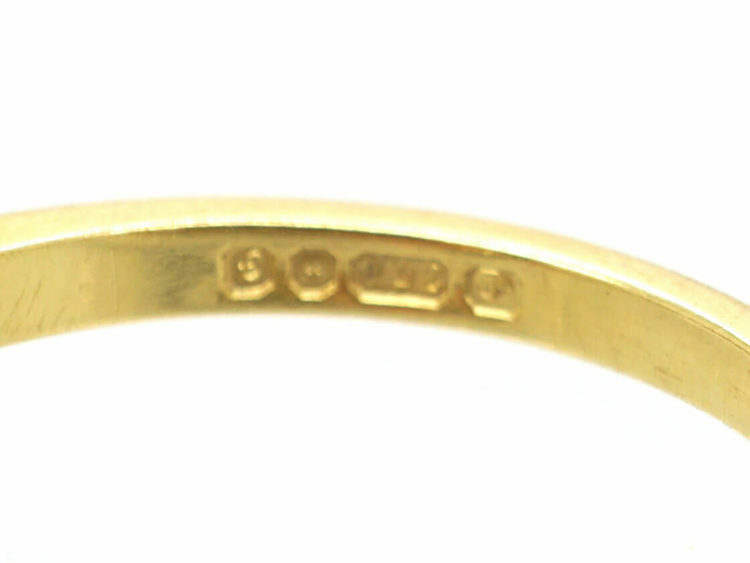 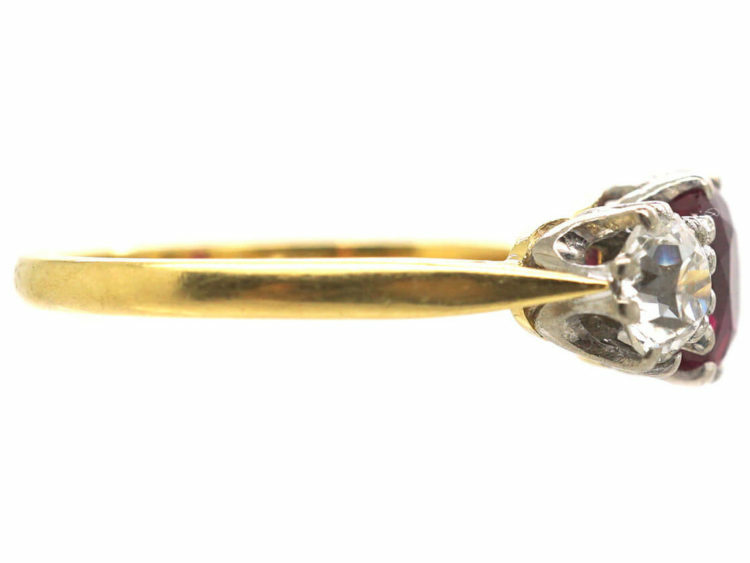 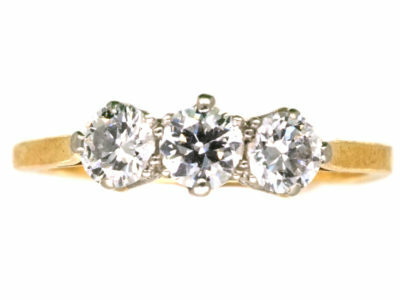 A beautiful 18ct gold ring that was made in Sheffield in 1980. 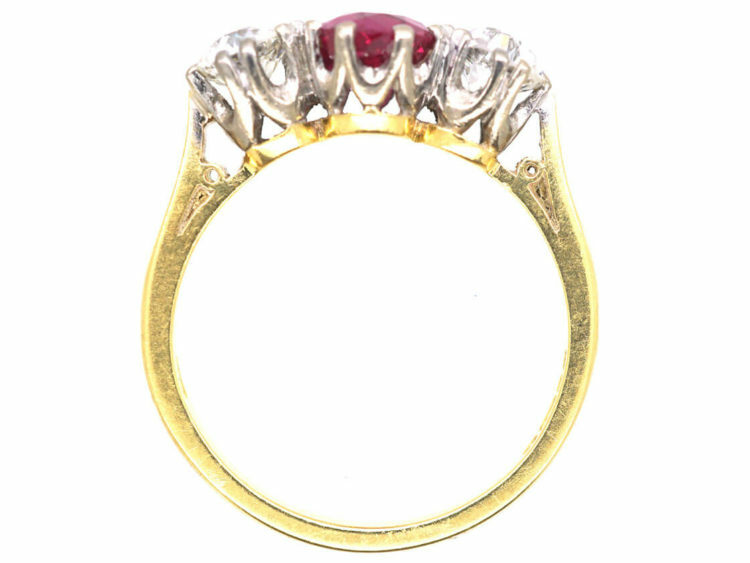 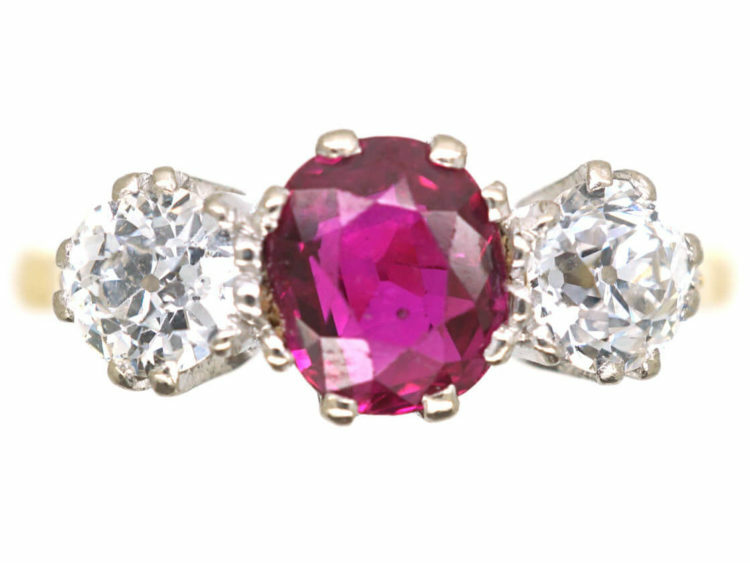 The ruby is a good red one carat stone and is flanked on either side by clear white diamonds weighing half a carat each. 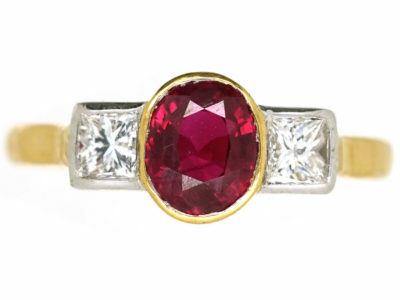 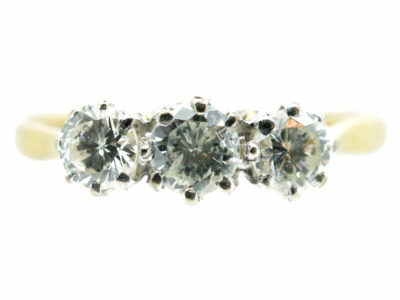 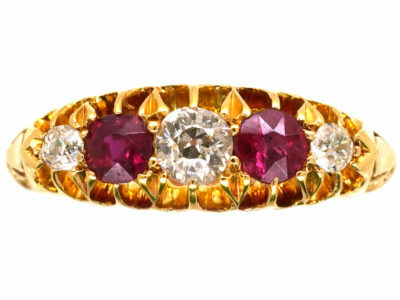 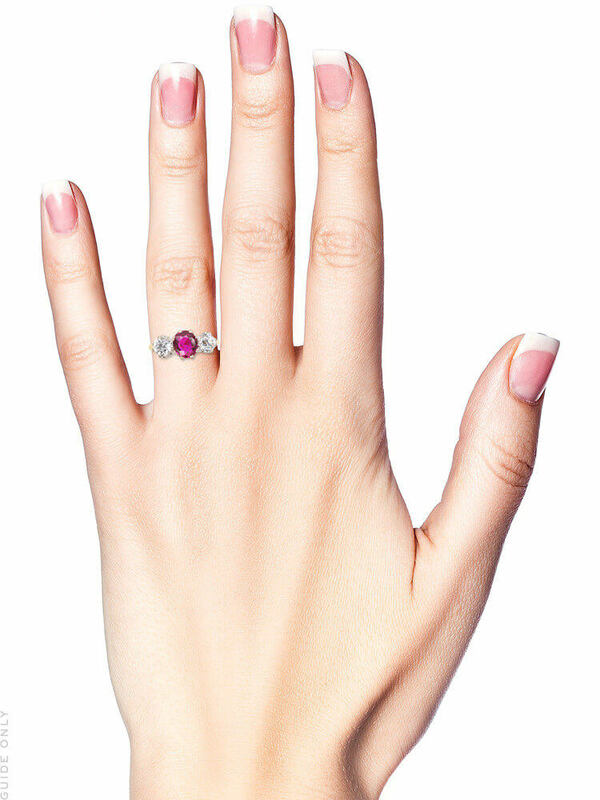 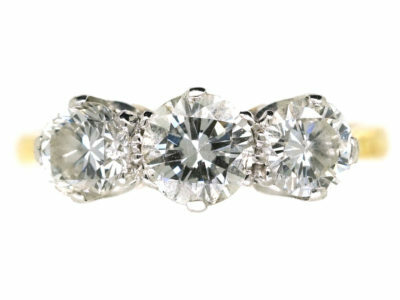 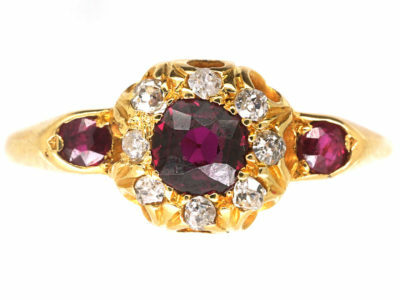 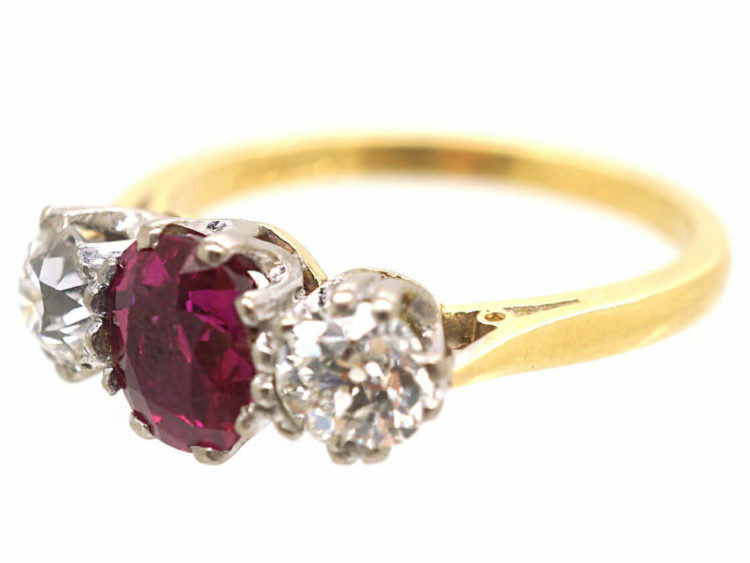 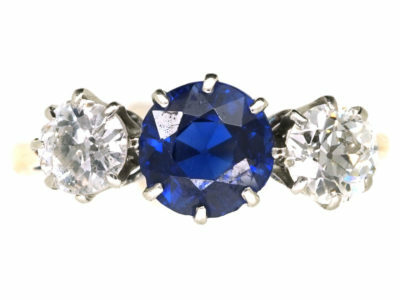 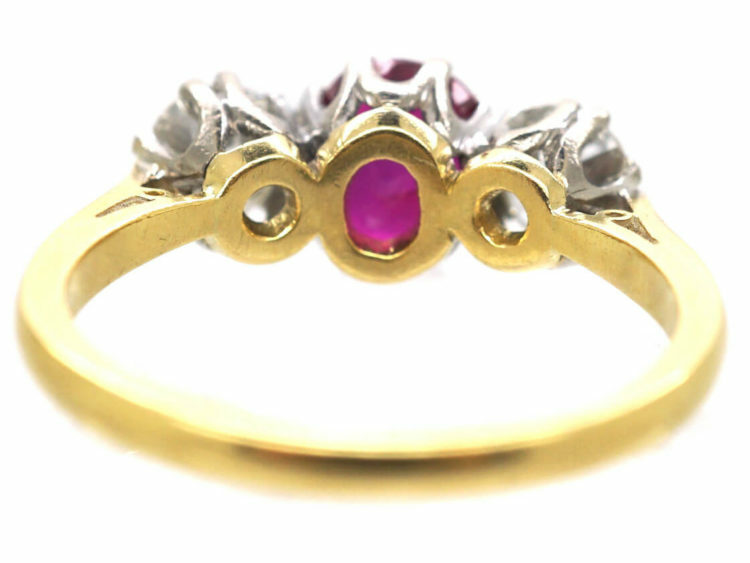 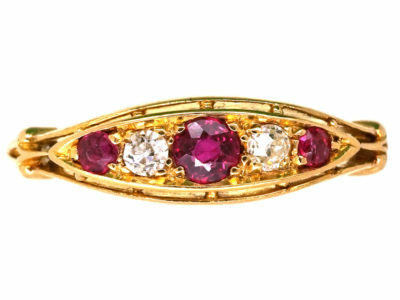 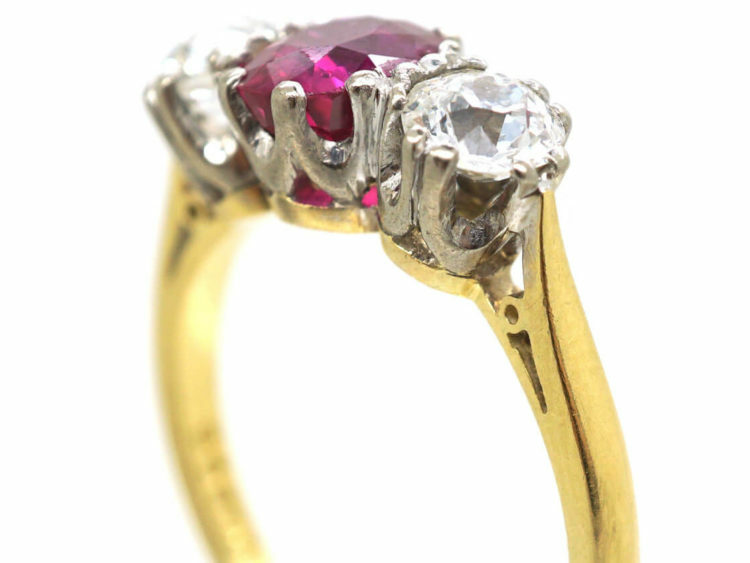 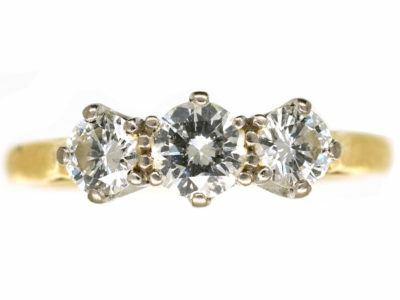 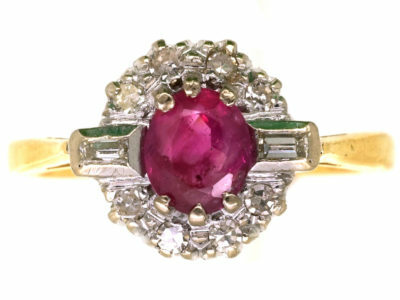 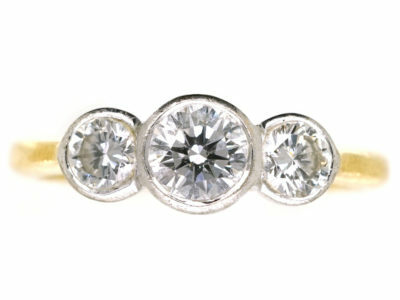 It would be an ideal engagement or Ruby anniversary ring.